A simple way to reserve a seat for yourself and your family at our friendly High Holidays Services. Please let us know which of the Services you plan on attending. See Schedule of Services for complete times of Services. 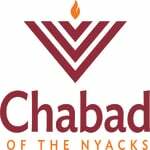 Chabad of The Nyacks is supported primarily by the generosity of the local community, please consider helping us continue our efforts on behalf of our community with a generous tax deductible donation in honor of the High Holidays. We thank you for your gift. I would like to dedicate 0 1 2 3 4 5 6 7 8 9 10 Holiday book(s) at $36.00 per book. Please use the area below to indicate the names, occasions and dates for your dedication in the holiday books.